Europe has so much great skiing on offer, that many people often forget about the resorts that lie a little further afield; resorts such as the stunning Whistler-Blackcomb located in Western Canada, amid the impressive Coastal Mountains of British Columbia and just 75 miles north of Vancouver. Whistler-Blackcomb resort links the impressive Whistler and Blackcomb mountains with the famous PEAK 2 PEAK Gondola, which offers breathtaking views of the surrounding scenery. In 2010, Whistler played host to the Winter Olympic and Paralympic Games and there is still the opportunity to visit the Whistler Olympic Park. 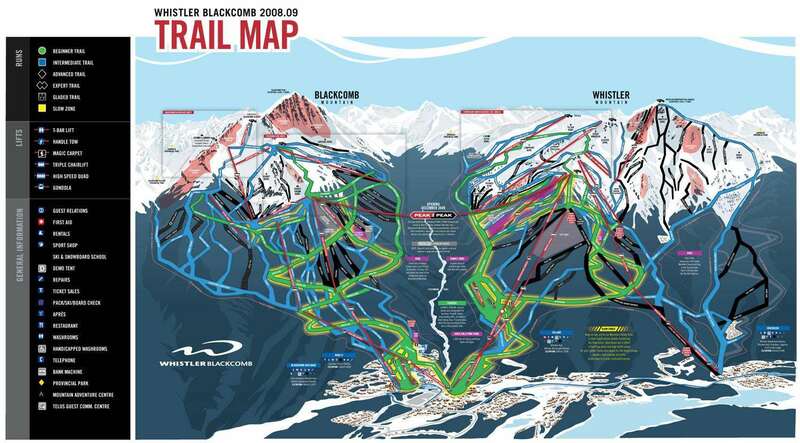 Whistler is home to two spectacular mountains: Whistler and Blackcomb, both of which tower over Whistler Village. The pedestrian-only Village, lined with countless shops, restaurants and galleries, is the perfect place for you to wander or just relax with a coffee. 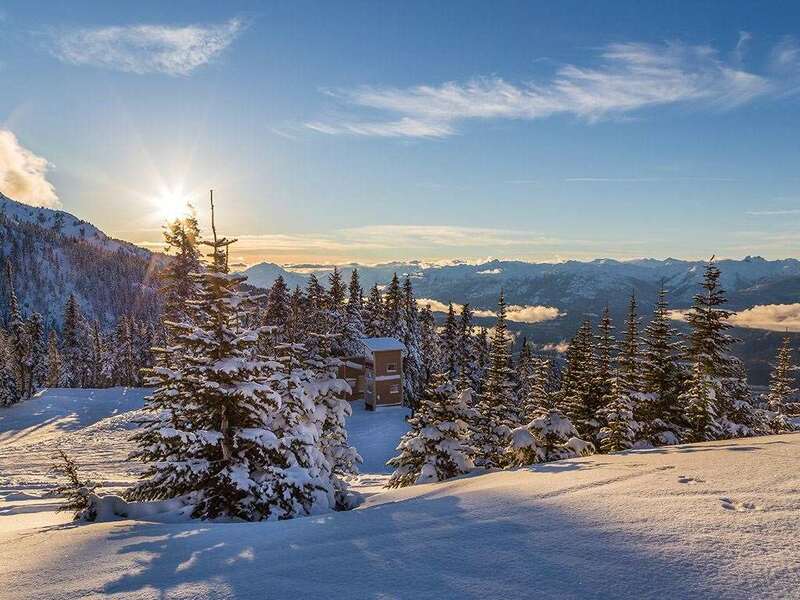 Whistler is also favoured with mild winters and copious amounts of snow; on average, Whistler receives 9 metres of the white stuff. Ski holidays in Whistler Blackcomb are hard to beat, with high speed eight and ten person gondolas sweeping skiers from the village up 1000m to where the possibilities are endless. Wide open bowls, gentle nursery slopes, gladed tree runs, steep chutes and gullies, bump runs that look like a snowed-in car park of VW Beetles, and mile after glorious mile of perfectly groomed corduroy piste. Whistler Blackcomb Ski and Snowboard School offers outstanding programs whatever your level or ability. Specially developed kids’ programs and learning areas, private and group lessons, women’s-only camps plus single and multi-day programs for teens confirm that nothing can improve your ski or snowboarding vacation like a lesson can. The award-winning Nintendo Parks include terrain for all abilities. On Whistler, you’ll find a park and a half pipe while Blackcomb boasts three parks and one super pipe. With a unique difficulty rating system - S, M, L, XL - the parks are divided into increasingly challenging levels of terrain, but they're cleverly designed to encourage skills-development from novices through to Olympic-training experts. If rails, picnic tables, half pipes, cannon boxes and booters aren't really your thing, jump on the Catskinner Chair on Blackcomb Mountain and watch the action unfolding below. Like Banff, Fernie, Jasper and other North American resorts, Whistler has invested in plenty of snow making cannons so snow reliability is good, although with the Village only being at an altitude of 675m and close to the Pacific Ocean, it can rain at resort level when it is snowing higher up. You must remember that you're dealing with a mile of vertical, so drizzle in the village can mean snowfalls halfway up and -15 degrees and sunshine at the top! We have huge selection of brilliant Whistler Hotels and Whistler Apartments that can match any need. Whether you want a quiet luxury spot or you want to be right in the centre of the action on a budget, we'll have just the accommodation for you. The danger with Whistler is that, if you are European skier, and really love skiing, you may never want to ski in Europe again. The scope of the inbounds (i.e. patrolled and avi controlled) off-piste is immense, in Europe you are, for the most part, either on-piste (patrolled and controlled) or off-piste and therefore at risk. Bowls, Couloir, trees and open snow fields: the off-piste options are fantastic, that is before you venture into the backcountry (where you are beyond the ski area boundary) or heli-ski (90% of the world’s heli-skiing is in BC). There is plenty of on-piste skiing also available (over 1000 acres and some of the world’s best terrain parks (Ride Catskinner over the XL park in the afternoon to see how it’s done). All this is spread over two cable car linked mountains with a big pedestrianized village at the base and a great variety of restaurants; Araxi and the Rim Rock at the top end to Splitz and the Spaghetti factory at the value end and many in between. The apr&#232;s is good, not quite Austria, but Merlin’s can rock, particularly on a Friday. There is also the Long Horn GLC, Dusty’s and the Dub Lihn Gate, which also has live music every evening. The shops are open late if you need some retail therapy after a hard day on the slopes. Night clubs: most resorts in Europe that I have been to have one or two, try five. With an average of 10 meters of snow per season (that is 30ft in old money) it can be epic, but not often sunny. The ski school is very good, all day for the kids in Adventure Camp and good group and private lessons available. If you think that you are too good for lessons, or want to get into the steeps, Extremely Canadian Clinics are the thing. Hint: the slope grading is rather means that slopes are a bit harder than you might encounter elsewhere. Whistler-Blackcombe is an amazing ski area. I revel in the North American ski ethos of skiing all over the mountain with a huge variety of terrain. Starting with amazing alpine bowls which you can ski all over as opposed to the European style of skiing only on designated marked runs. There are also plenty of mogul runs which are fantastic fun, often in limited supply in Europe! Gladed runs are the best though skiing through the trees between runs, something I have not experienced in Europe and is great fun!! The ordered lift lines are also so much more relaxing han the frenetic scrums that you get in Europe. Ski school is also amazing especially for children and caters for all levels from beginners to level 1 ski instructors. Some great hotels and restaurants in the resort and incredible scenery when the sun shines!